Dan Biggar's former coach Lyn Jones has described him as one of the top three fly-halves in the world and says he would be missed by Wales if injured. 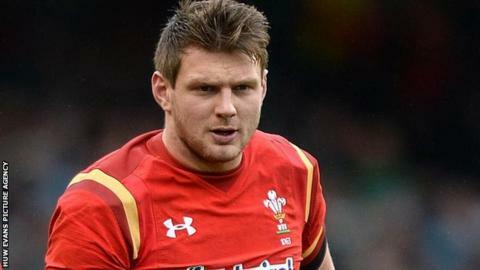 Biggar, 26, is a doubt for Wales' Six Nations game against Scotland in Cardiff on Saturday after limping off with an ankle injury against Ireland. Dragons boss Jones worked with Biggar when he was head coach of the Ospreys. "Any player who's one of the top three outside halves in the world, as Dan is, is going to be a loss," Jones said. "Rhys [Priestland] had a sound game when he came on. But Wales will miss Biggar. "I'm sure it won't be too long until Dan's back." Bath's Priestland deputised for almost an hour of Sunday's 16-16 draw in Dublin. Wales are awaiting an update on Biggar's injury and clarification as to whether he will be fit to face Scotland at the Principality Stadium on Saturday. Head coach Warren Gatland will name his side on Wednesday for the game against Scotland, who lost 9-15 to England in their opening game.